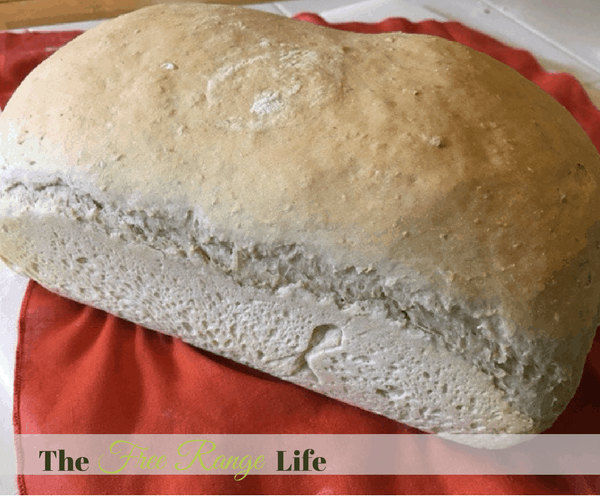 This honey oatmeal bread is my go-to recipe for fresh, homemade bread. It reminds me of my childhood and the comforting nature of freshly made bread. I prefer it topped just with butter, but it also makes great toast and sandwiches. If you plan on slicing for sandwiches, the optional addition of a couple eggs will soften the dough and make it even fluffier. Mix until combined and allow to sit for 1 hour. Using the dough hook on your mixer knead the dough until smooth and elastic. This should take at least 5 minutes or more. I use my Kitchen Aid mixer, but you can easily do all this with a wooden spoon and your hands. Add more flour as need to make the dough smooth and not sticky. Shape into a ball and place in a lightly oiled bowl and cover with a damp towel or plastic wrap to rise for 1 hour or until doubled in size. 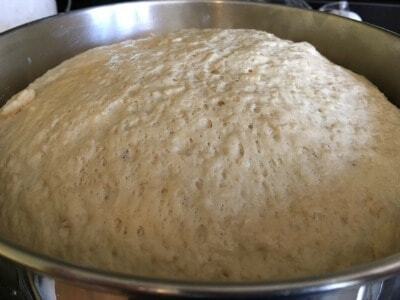 After rising, punch down the dough and shape into 2 loaves. Cover and allow to rise for an additional 30 minutes. While you are waiting for the final rise, preheat your oven to 375 F.
Carefully place the loaves into the center of your oven and bake for about 30-35 minutes or until they sound hollow when thumped. Remove from pans and allow to cool on a rack for at least 10 minutes before cutting- but if you can’t wait that long it’s okay. Bread straight from the oven truly is best! Can I make this recipe in my bread machine? I don’t have a lot of experience with bread machines. It make 2 large loaves, so depending on the size of your machine you may have to adjust. The initial soaking would also need to happen before you turned the machine on. Does this also work with whole wheat flour? I have made it with half whole wheat before and it was fine. 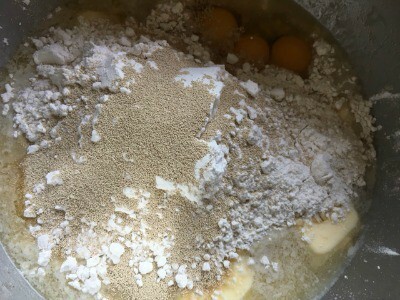 You should be able to to substitute, just reduce the overall flour in the recipe. I loved how you wrote bake till they feel hollow when thumped. It brought back great memories of my mom saying that when I was little. She used to back 7 loaves of bread every week. HMMMM so delicious. Thank you for the recipe.